I’m thrilled to have been appointed the new writer-in-residence for Dun Laoghaire / Rathdown County Council. 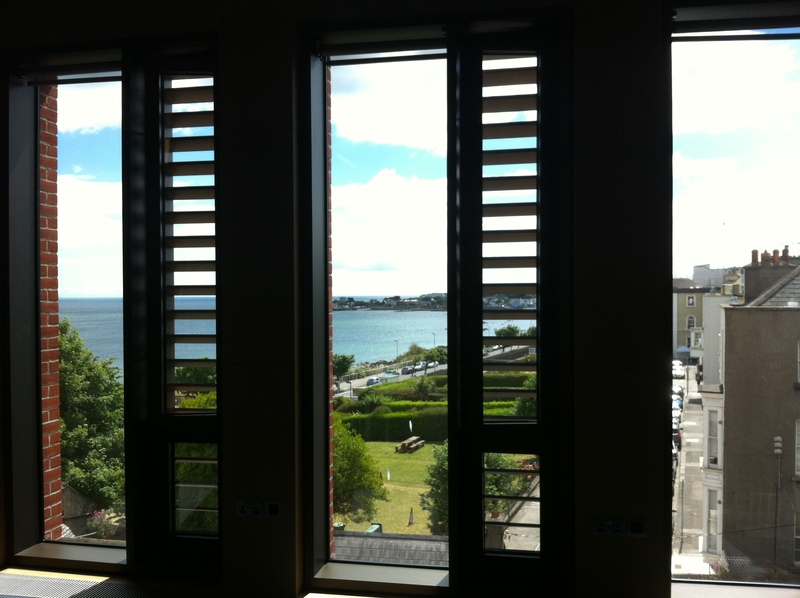 For the next year, I’ll be based on the 5th floor of the shiny new Lexicon library building, overlooking Scotsman’s Bay. Joyce’s omphalos squats on the horizon so whenever I look up from the desk at the sparkling water, it’ll serve as a rebuke to get back to the work in hand: a novel, set between Ireland and Budapest, if I can banish Mr. Virag’s ghost. During the residency, I will be initiating a new platform for workshops and events called, “The Pale Project”. The idea is to focus attention on the hidden issues of inclusion and exclusion we stumble against or around in the territories we inhabit daily, by drawing on that loaded term, ‘The Pale’. From late September, I’ll be asking participants to walk, map, catalogue, photograph, play in, research, investigate, draw, encounter, explore their chosen territories before we turn to writing up a sense of place in a variety of forms early next year.